Lauer tells court. 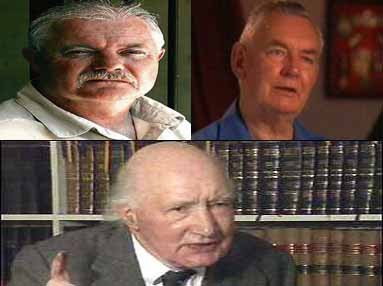 Former NSW police commissioner Tony Lauer told the Supreme Court on February 7, 2002, corruption had not only existed at a high level within the police force, but also in different governments. In the witness box at his damages case against John Fairfax Publications Pty Ltd and former police board member Gary Sturgess, Mr Lauer said corruption had ``involved the government of both political views". He said he was supported in that view by the Lusher report a judicial inquiry which in 1981 reported. "...a compelling consideration pointing towards a Board is that the task of administrating and directing a police force of this size and also to implement the necessary changes...is likely to be beyond the capacity of one man. (sic)"
"The introduction of a Board would open the way for appropriate management and administration skills to be brought to bear on the decision making process within the organisation." "...it should be possible in some form to leave the administrative responsibilities with the Board and at the same time preserve the traditional position and independence of the Commissioner as well as individual police in decisions relating to law enforcement." (P 788) "...the Commissioner of Police should, subject to the direction of the Minister, be responsible to the Minister for the superintendence of the Police Force in the sense of its operational command and have the further function of implementing within the Force and complying with the policies of the Board of which he (sic) is a member." "...the Commissioner in substance, would be in no greatly different position in principle than he is now in implementing government or ministerial policies: indeed he would have the additional advantage of having taken part in their formulation as a Board Member." "The Board or its nominees should have power to enter into and upon any police premises at any time to call for and inspect all or any police records, documents, files etc and to question and seek information from any member of the Police Force. It should be the obligation of all members of the Police Force to give all assistance and cooperation to the Board or any members thereof or its nominees." A common objection to the notion of Police Boards expressed by Police Commissioners (and others opposed to the concept) is the perception they pose a threat to police independence and the commonly held ideal that police should be accountable to the law only. However this argument in reality has little force because, as Lawson (p 27) accurately notes, the police mandate is ill defined and there is no clear definition of police accountability. "...the purpose of the police suggests the necessity for sworn officers...to be able to carry out their duties individually and in an unbiased manner. This policy requirement, however, has to exist within the constraints of the liberal democratic model.There is an element of contradiction in such a notion. The principle requirement of a liberal democracy is supremacy of Parliament; the right of Parliament as a body of elected representatives of the people to control all functions of the state. In so far as the police is concerned the ideal is to permit sufficient autonomy to preserve credibility " Essentially then, any consideration of police independence and accountability must consider the competing and conflicting objectives that, on the one hand, those who apply the law should be able to impartially exercise their authority free from political interference and on the other, the idea that the police, just like any other large public body, be accountable directly to the Government of the day. "I have no hesitation in holding that, like every constable in the land, he [the Police Commissioner] should be, and is, independent of the executive. He is not subject to the orders of the Secretary of State, save that under the Police Act 1964, the Secretary of State can call upon him to give a report, or to retire in the interests of efficiency. I hold it to be the duty of the Commissioner of Police of the Metropolis, as it is of every chief constable, to enforce the law of the land. He must take steps so to post his men that crimes may be detected; and that honest citizens may go about their affairs in peace. he must decide whether or not suspected persons are to be prosecuted; and, if need be, bring the prosecution or see that it is brought. But in all these things he is not the servant of anyone, save the law itself. No Minister of the Crown can tell him that he must, or must not, keep observation on this place or that; or that he must, or must not, prosecute this man or that one.